Anderson Powerpole wire connectors are used as the output power connector on many of the LiFePO4 batteries that we carry. Set of two Anderson Powerpole PP45 connectors with terminals. 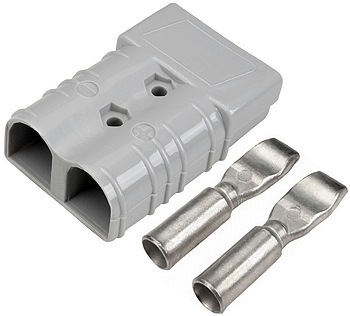 Individual PP45 connectors slide and lock together to form a single connector. Crimp and solder connection terminals for 14-10 gauge wire. 2 terminal Anderson Powerpole PP45 connector sleeve. Fits over the back of two PP45 connectors for a professional looking installation. 2 terminal Anderson Powerpole SB50A connector set. Solder connection terminals for 12-10 gauge wire. 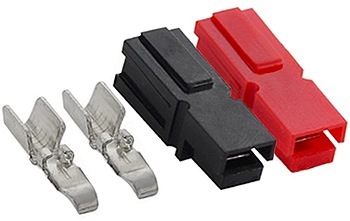 Flexible rubber cover for Anderson Powerpole SB50A connectors. 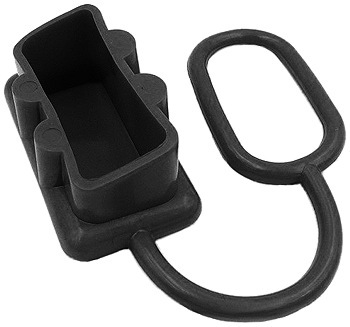 Handle with mounting hardware for Anderson Powerpole SB50A connectors. 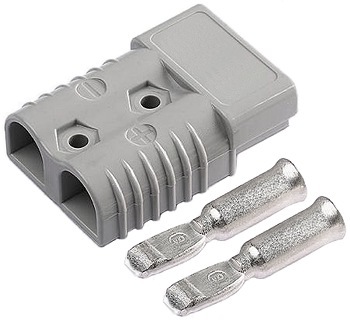 2 terminal Anderson Powerpole SB120A Gray connector set. Solder connection terminals for 6 gauge wire. 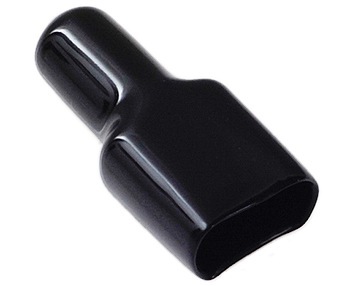 Flexible rubber cover for Anderson Powerpole SB120A connectors. 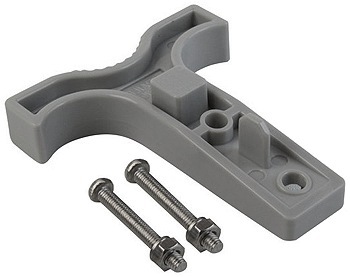 Handle with mounting hardware for Anderson Powerpole SB120A connectors.